Hi ladies! 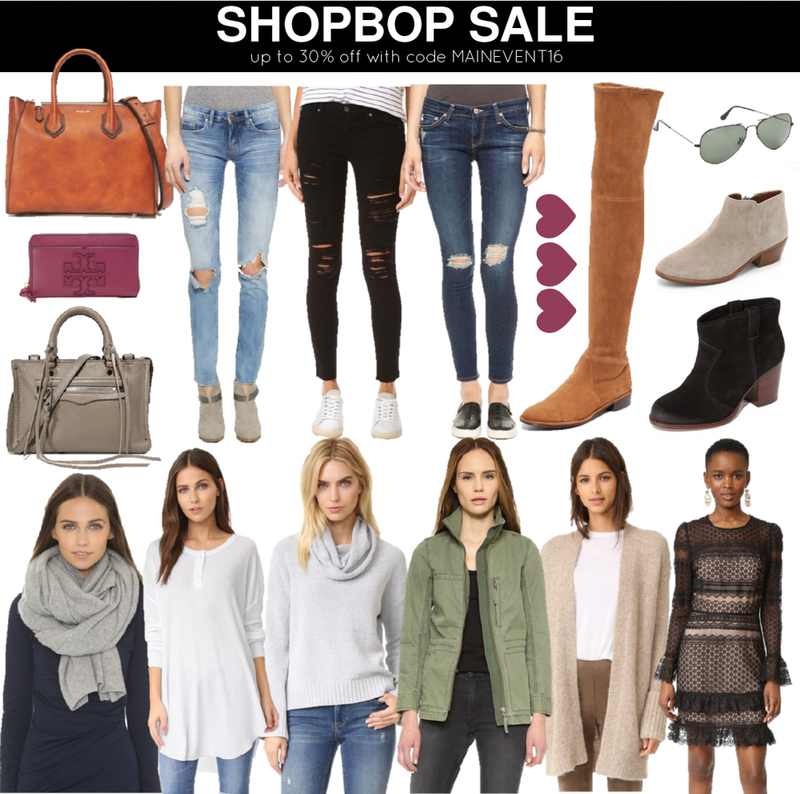 One of my favorite sales of the season is going on and it’s the SHOPBOP Fall Sale Event! You can get 25% off $500 or less and 30% off $500 or more with code MAINEVENT16! I’m talking Rebecca Minkoff, Stuart Weitzman, Tory Burch, Parker, Madewell, Free People and more for up to 30% off! I mention that this sale is one of the best because a lot of brands that don’t usually go on sale (with full priced items) are included. Now is the time to stock up on those pricier pieces you’ve been looking to add to your wardrobe! These Lowland OTK boots are a favorite of mine because of quality and comfort, this utility jacket you see me wearing constantly and this cozy cashmere scarf which is a travel essential! I’m picking up this pair of sunglasses, these fleece lined leggings along with some new jeans from my favorite affordable denim brand! Shop it all here.